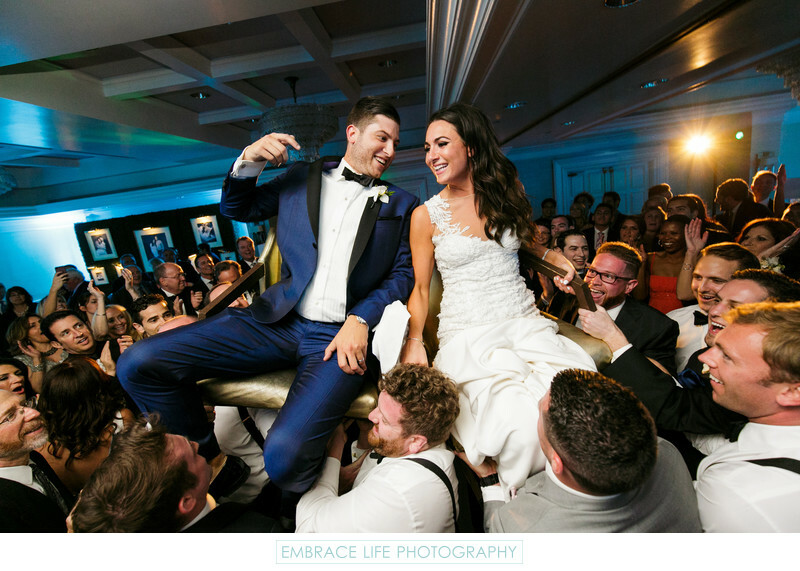 Smiling bride and groom, in a stylish blue tuxedo, lifted up during the chair dance portion of the hora by joyful wedding guests at their Jewish wedding reception in the Kensington Ballroom at The London West Hollywood. The combination of blue uplighting on the wedding venue's walls and warm lighting on the dance floor provides a beautiful, striking contrast of complimentary colors. Keywords: Portrait (888), Reception (396), Wedding (1437).